We are quite often too fearful. Jesus was constantly telling people that they shouldn’t be afraid. Instead of fear, we should exhibit faith. In fact, faith drives away fear. The Bible is filled with examples of men and women who showed great courage in the face of adversity. Young David bravely went out on the battlefield to face the giant Goliath. Ruth left her country in order to follow God’s leading and begin a new life. Abram set out for the land God would show him, not even knowing at the time where that might be. A woman named Jael killed one of God’s enemies by driving a tent peg through his skull. Gideon went into battle even though he and his men were greatly outnumbered. Joshua stepped up and led God’s people into the Promised Land after long-time leader Moses died. A young virgin girl named Mary bravely accepted her unusual assignment from God in spite of the scorn she no doubt received from those who were unaware of the special circumstances of her pregnancy. Peter walked on water—at least he did for a little while! Stephen preached the truth to a hostile audience, even though it cost him his life. Paul boldly faced opposition and persecution in many locations. Hebrews 11 mentions many nameless men and women who remained true to God in spite of being terribly mistreated—persecuted, tortured and put to death by some of the cruelest methods ever devised by mankind. Perhaps we fail to understand the kinship we Christians have with the heroes of the faith that are mentioned in the Bible. We need to realize that we, too, have an important role to play in God’s story. Each follower of Jesus has joined the kingdom of God and has thus become a part of the greatest drama ever—God’s radical plan to save the world through his Son Jesus! Doing our part in the kingdom will sometimes take us into scary territory. People will oppose our message. Satan will try to thwart our efforts. The task at hand may seem too daunting at times and the circumstances unbearable. Jesus says that we will have trouble in this world, but that we should take heart because he has overcome the world. His victory over death has proven that he has the power to impart eternal life to all who believe in him. That fact should give us courage to face whatever it is that life brings our way! “Have I not commanded you? 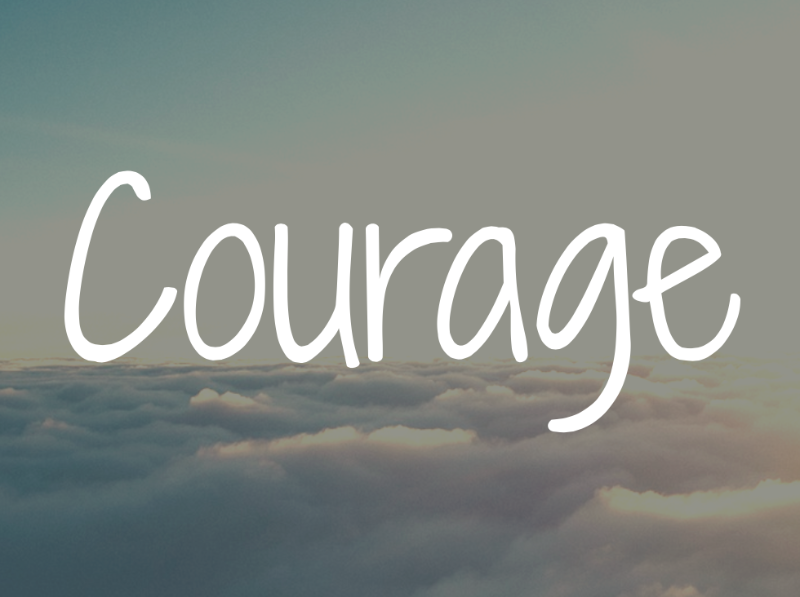 Be strong and courageous. Do not be afraid; do not be discouraged, for the Lord your God will be with you wherever you go.”—Joshua 1:9. This entry was posted in Christian Living, Leadership and tagged courage, faith, fear, Hebrews 11, heroes of the faith, illustration, Joshua. Bookmark the permalink. Thank you, Tom, I needed this.